Add your favorite charms or rock it solo! 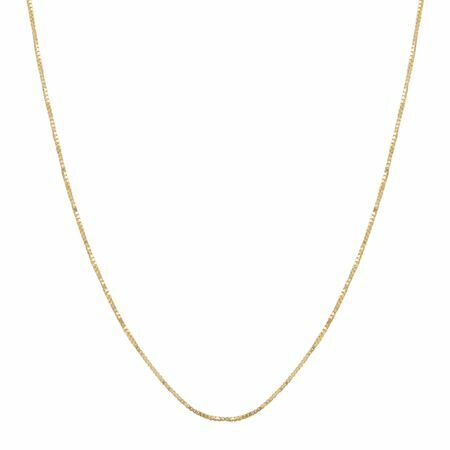 This 10K gold box chain is a must-have addition to any jewelry collection with its clean design and lobster claw closure. Piece measures an adjustable 17-19 inches in length.